The things you realise when you are bored. I happened to realise that this humble little magazine turned online blog (although a magazine is the dream) turned one year old 3 days ago. 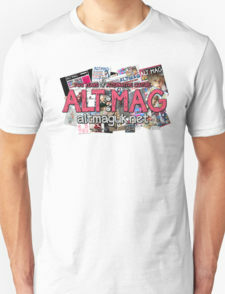 The actual concept of Alt:Mag however dates back to the 18th of May 2011. Note the lame "Yeah I'm Alternative. Deal With It." slogan in that god awful font. 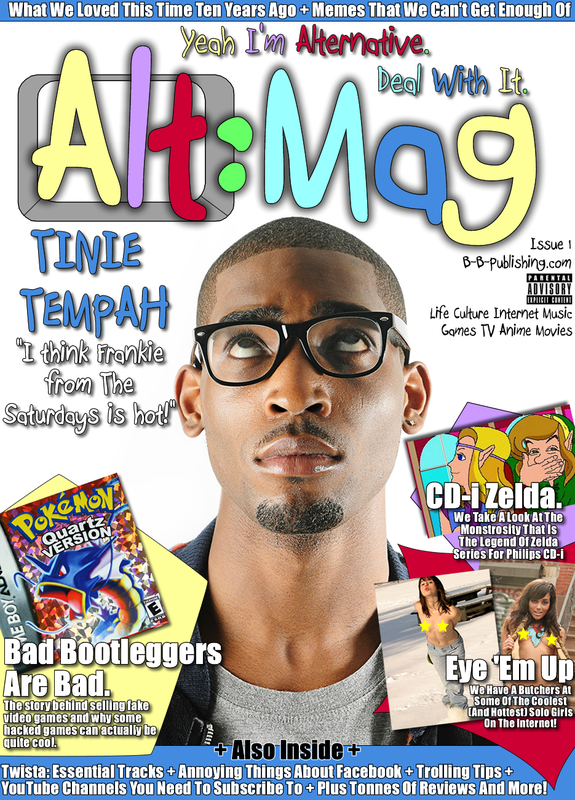 Bare in mind that this cover was never actually supposed to be the cover for an actual magazine, so the supposed interview with Tinie Tempah was never planned or expected to happen. We also dropped the scantily clad girl part of the magazine as we decided we didn't want Alt:Mag to be associated with 'lad's mags' and also because we didn't want to get arrested by the pr0n police. Anyway, I will leave the 'origin story' till next year, or put it in the first issue if that thing ever gets made. 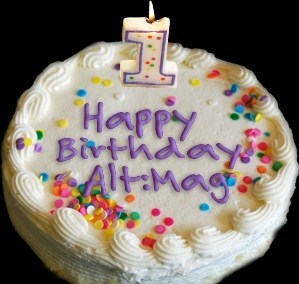 Until then, thank you to everyone who has shown support and helped to promote us and also much love to the Alt:Mag team for putting in all that effort into writing articles and helping keep the spirit alive, despite my constant nagging. To all the people who persist to hate on this wonderful team effort, hopefully we will have won your support by this time next year. Tinie Tempah interview, here we come.